The perfect baseline to launching an employee advocacy program. Find your advocates. Focus your training. Your social impact journey starts with understanding your current impact. 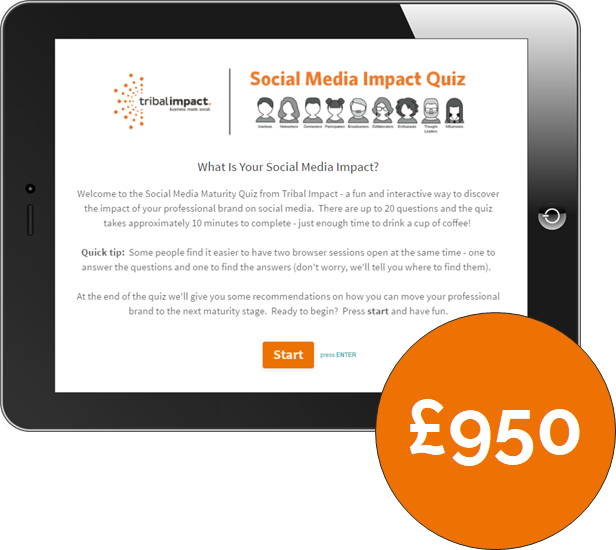 The Enterprise Social Impact quiz is a great way for your employees to discover their current social media maturity level. It also gives you a baseline metric that you can track progress against. The quiz is password protected, custom branded and the results are analysed. We map the results to our Social Media Maturity Model and provide you with a report including recommendations on how to move forward. Perfect for building an internal business case for investment. 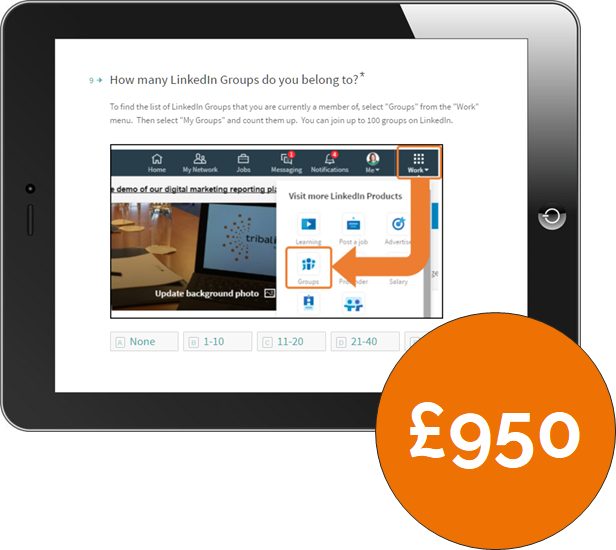 Use the quiz as an opportunity to pinpoint your potential advocates. We can adapt the questionnaire to ask your employees if they want to be part of a wider social business program. That way you get to work with employees that are ready to commit their time. Try the quiz for yourself now. It's free! This is tailored to your business so we’ll protect the quiz with a password that your employees can use to access. We will add your logo to the front screen and adjust the branding colours to match your brand colour palette. We love our coffee breaks so we’ve designed this quiz to fit into one. It will take no longer than 10 minutes to complete. 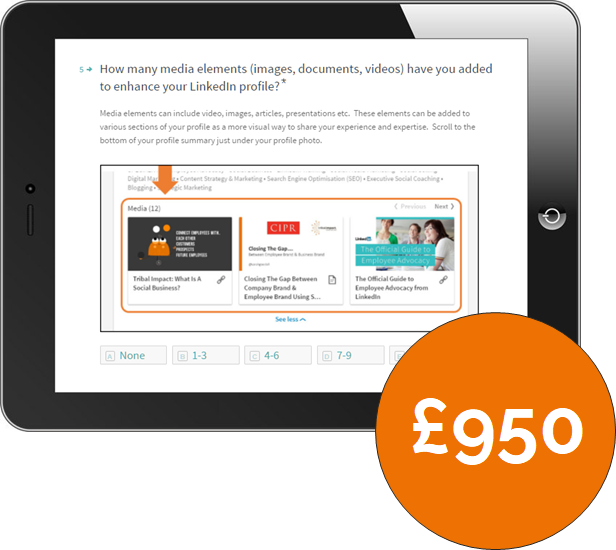 We’ll map your data to our Social Media Maturity Model and provide you with a report including recommendations. We’ve added tips and tricks throughout the quiz so that your employees learn something along the way. 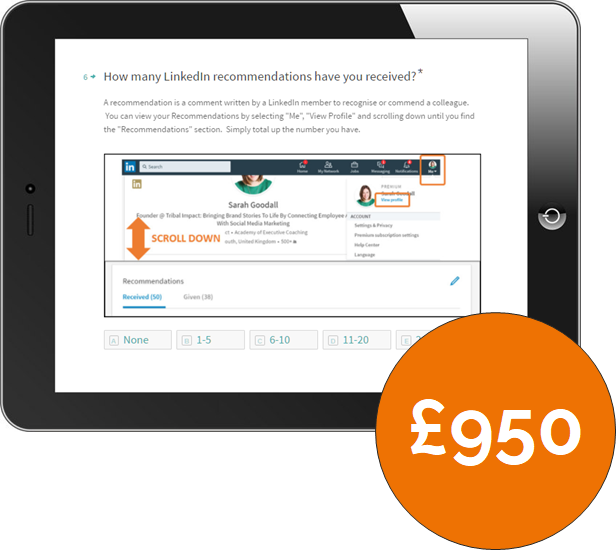 Find your potential employee advocates by customising the quiz and asking who wants to be part of a pilot program.